Often Havel talked as if he was an ironic critic watching the theatre of life, but there in the Magic Lantern, in 1989, he became the lead actor and director of a play that changed history. 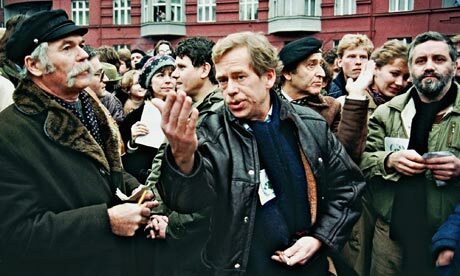 Havel was not just a president; he was the founding president of what is now the Czech Republic . He was not just a European; he was a European who, with the eloquence of a professional playwright and the authority of a former political prisoner, reminded us of the historical and moral dimensions of the European project.